Our bespoke frameless glass doors are a chic and sophisticated solution. From cutting edge contemporary style to understated elegance, our frameless glass doors are a perfect design choice for any project. We combine the modern functionality of commercial glass door hardware with the aesthetic requirements of domestic interior design to offer a range of frameless glass doors that is second to none in diversity, quality and exclusivity. Doors come with 'glass to wall' or pivot hinges that fit into the wall reveal, and are usually fitted with pull bar handles or pull knobs. We offer a selection of hinges to suit different requirements and sizes/weights of glass. 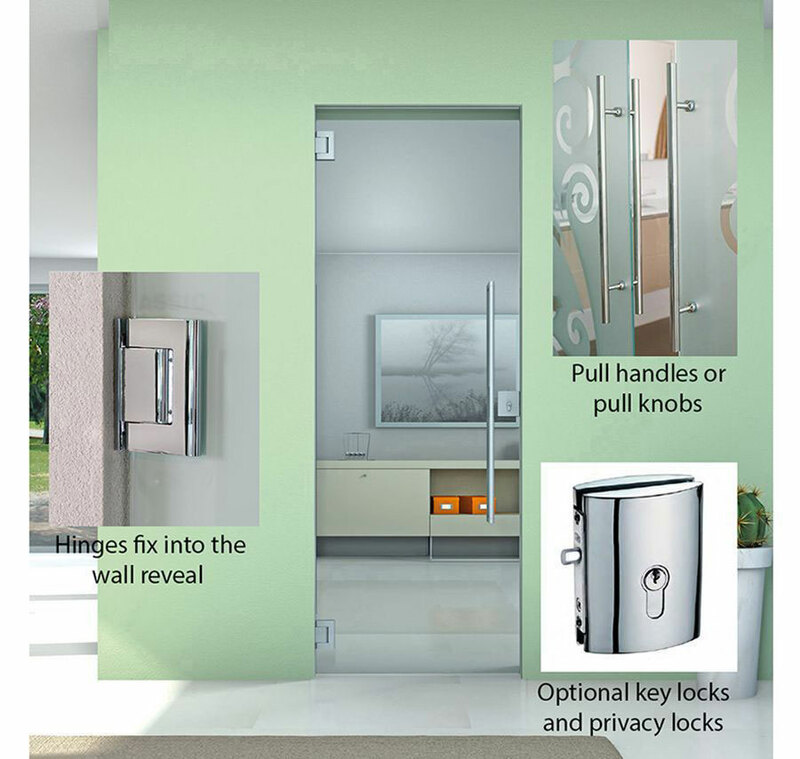 We have a range of accessories such as privacy locks, and a vast choice of pull bar handle styles and sizes. Our combination of glass choices and hardware options allows you to be creative and design an end result that is unique to you. 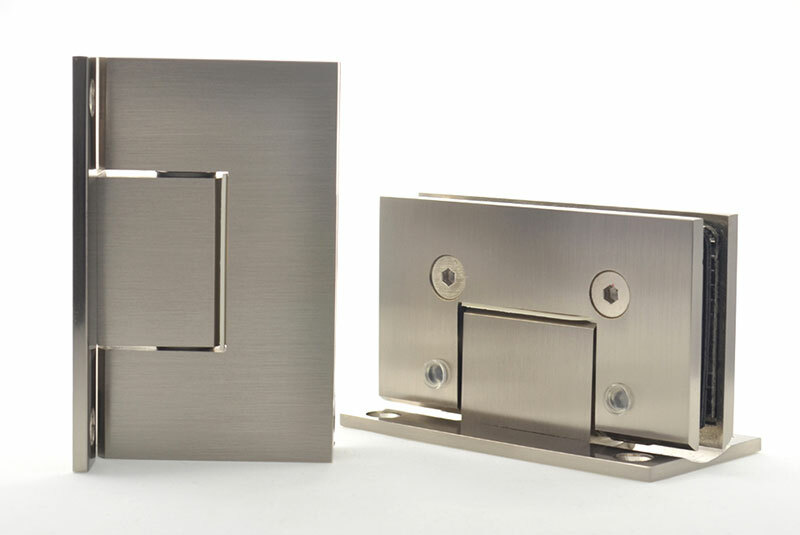 Choose from a range of hinges for wall fix applications and floor/ceiling pivot applications. Hinges swing in both directions - open through 180°. The door will hold itself in place when open at right angles and also when closed. There is no need for a latch. Hinges self close from varying degrees, dependent on the specification and size/weight of the door. Fiesta is our most popular hinge for domestic projects. Amalfi self closes from about 80 degrees dependent on the size and weight of the glass. Bella is ideal for smaller doors as it is small and neat. Capri is with hydraulic soft close and adjustable closing speed. The main body of the hinge is in aluminium, and decorative cover plates in stainless steel clip over the hinge body to conceal the fixings. Option to adjust the zero position. The Project Self Closing Pivot Hinge comes with all the benefits of a floor spring with EN3 closing force, without the need for a box set into the floor. The top patch fittings and pivot pin are suited with the Project hydraulic pivot hinges. 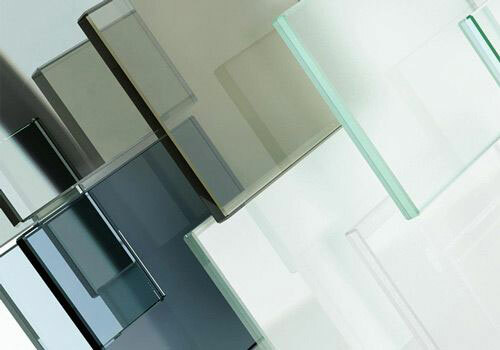 Glass is cut to size and prepared for your hinges and handles. It is then toughened to comply with safety regulations. We have lots of glasses to choose from, and we can even offer special one off designs. Please use the link to read much more about the options that are available and the manufacturing process.